Summary: As community banks look to millennials as future loan customers, they may need to rethink how they assess creditworthiness. We provide you with some thoughts here. 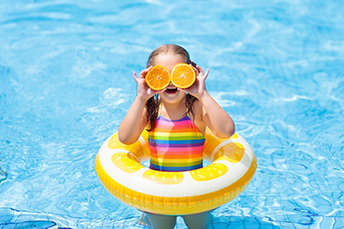 As the summer heats up, we wanted to remind you of key rules when using the pool: Don't drink the water, don't run, don't dive into shallow water, watch out for uncovered drains, hydrate and don't pee in the pool. Most of these are pretty standard, but sometimes you need to revisit standards to improve on them. Speaking of standards, the credit crisis in banking taught us the old standard of using credit scores as the be-all-end-all might not be everything it was cracked up to be. When it comes to rating creditworthiness for a loan, a high credit score (like FICO, etc.) is the gold standard. For some millennials though, high scores are difficult to get. After all, millennials lead different lifestyles than those who came before. They often have sparse credit histories and some have crummy credit scores. One study even found that 43% of millennials have subprime credit scores between 300 and 600! It's not that all millennials are necessarily bad credit risks or without financial histories. Indeed, many with low FICO scores have bank accounts, even if they are less likely to be avid users of credit cards. This means that such scores may not have enough information to get an accurate picture of creditworthiness. As community banks look to millennials as future loan customers, you may need to rethink how you assess creditworthiness. That doesn't mean throwing out scores, but rather looking beyond them to evaluate total risk. There are several ways a bank can expand its evaluation of a loan candidate by employing new assessment tools and other sources of financial information as measures. Telecommunications bills offer one place to look for financial history. One thing you can say about millennials is that they are well-connected, electronically. Looking at a loan applicant's telecom history can establish a good record of bill payment over a long period of time. Also, keeping current on bills is one important box to check on a loan application. Other payment histories, like energy bills or rent, can add to the financial picture and are commonly used by banks. Credit card history is often a sticking point, since many millennials eschew credit cards. That doesn't mean they lack payment histories though, since they often use alternatives like PayPal or Venmo. Obtaining a millennial applicant's record on those systems can provide extra evidence of creditworthiness, when there are no credit card histories to access. Using alternative credit sources is unusual for banks and can be risky, if not carefully used. But, it has become big enough to attract the attention of bankers and credit rating organizations. Indeed, even FICO itself has discussed using alternatives to its standard scores in evaluating credit risk. Getting a true picture of a millennial's credit risk can be a lot harder than it is for a boomer, who usually leaves much more distinct and well-worn financial footprints. However, there may be untapped opportunities for community bankers willing to dive a little deeper into the millennial credit pool. JPMorgan Chase has launched an all mobile bank called Finn. The new bank targets millennials and allows customers to do all of their banking from their phone. Customers can open accounts, make deposits or send money, use Zelle and access ATMs across the US. S&P Global Market Intelligence research finds that when asked how many times in the past 30 days they had a branch visit, mobile bank users answered: zero (22%); 1-3x (53%); 4+ (25%). 1) Peapack-Gladstone Bank ($4.3B, NJ) will acquire wealth management firm Lassus Wherley & Associates PC (NJ) for an undisclosed sum. Lassus manages about $500mm in assets. 2) SmartBank ($1.7B, TN) will acquire Foothills Bank & Trust ($215mm, TN) for about $36.2mm in stock (100%) or about 1.68x tangible book. 3) Forcht Bank ($1.1B, KY) will acquire Watch Hill Bank ($163mm, OH) for an undisclosed sum. 4) Border State Bank ($511mm, MN) will acquire Union State Bank of Fargo ($99mm, ND) for an undisclosed sum. 5) FNB Bank ($526mm, AL) will acquire Capital Bank ($122mm, GA) for an undisclosed sum in cash (100%). 6) First-Citizens Bank & Trust Co ($34B, NC) will acquire Securant Bank & Trust ($217mm, WI) for $28.1mm in cash (100%) or about 1.44x tangible book.